MRO provider Lufthansa Technik has signed a long-term contract with Kazakhstan’s flag carrier Air Astana to provide maintenance on the V2500 engines for the airline’s Airbus A320 narrowbody fleet. The first engine is to be serviced in April of this year. According to the terms of the contract, Lufthansa Technik will provide a full range of services to the Kazakh carrier, from engine overhaul to component supply. The contract includes 25 shop visits at the German provider’s Hamburg facility, as well as unscheduled support for the engines. 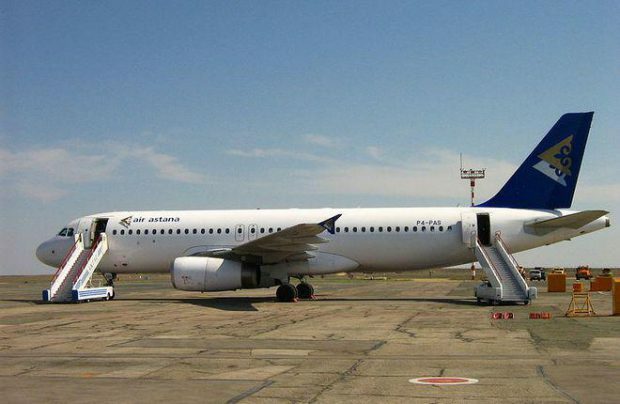 Lufthansa Technik has already done maintenance on a few of Air Astana’s A320 engines, starting in 2015. The signing of a long-term contract signifies the operator’s confidence in the provider, emphasizes a Lufthansa Technik spokesperson. Overall, the German and Kazakh companies have worked together in some form since 2002, and Lufthansa Technik carries out maintenance on the CF34-10E engines for Air Astana’s Embraer E190 regional jetliners. Almost all of Air Astana’s A320s are powered by V2500 engines, including one A319-132, eight A320-232s, and four Airbus 321-231s. The airline also has one A320neo with Pratt & Whitney PW 1100G powerplants. An Airbus source told Russian Aviation Insider that V2500 engines are rather popular in Russia. Other Russian carriers that use these powerplants on their A320s include Ural Airlines, Yamal Airlines, and Nordwind Airlines. One of the CIS carriers operating V2500s is Air Moldova.